NorthernAxcess brings the Iridium 9555 Satellite Phone Global Roaming Kit that come with the 9555 satellite phone redesigned and incredibly intuitive user interface, 300 worldwide prepaid minutes and a Watertight Hard Case. The Iridium 9555 is still every bit as rugged as its predecessors and tough enough to withstand the world’s harshest environments. 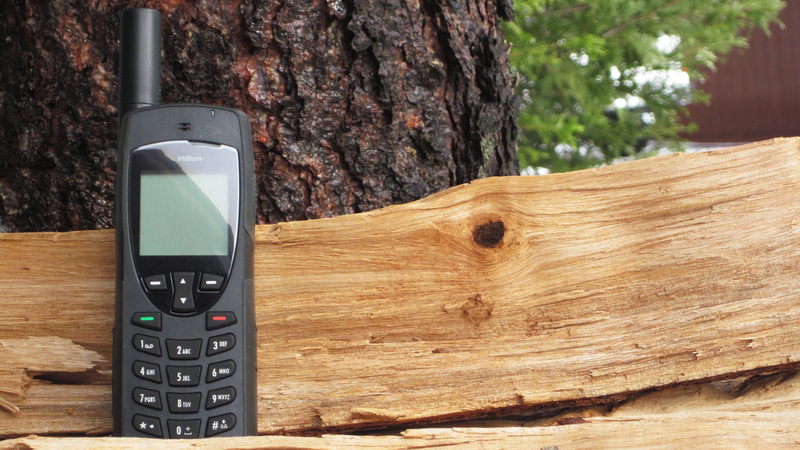 This satellite phone connects to the only truly global mobile communications network. The Iridium 9555 is smaller than the Iridium 9505A, giving a reduced footprint and more hand friendly design. Enjoy Global Roaming with this complete kit and communicate without limits. The Worldwide 300 minutes card is valid for 1 Year from the activation date. You can activate the card within 90 days. When purchasing this kit you are getting the airtime at a lower price and you will not pay an activation fee. The Hard Case will protect your satellite phone from harsh weather conditions, dust and debris. Do you have an older iridium satellite phone and want to upgrade to the 9555 model, you can send us your old iridium satellite phone and will give you credit towards your new purchase. Learn more about the NorthernAxcess Buy Back Program. Iridium Worldwide Prepaid Card – 300 Minutes valid for 1 Year. The Worldwide Iridium 300 minutes prepaid sim card offer low rates and global coverage with no contracts for iridium satellite phones airtime.This sim card is valid for 12 months from the activation date. This card gives you a longer validation period than other prepaid cards. This card can be reloaded, however it needs to be reloaded with any other prepaid card except for this same one. The Iridium Worldwide Prepaid Plans provide an ideal solution if you're working on short term or seasonal projects or if you are a worldwide traveler because this plan has the same rates for all countries and continents. Learn more about the Iridium Prepaid Global 300 Minutes Sim Card. Click the button below to add the Iridium 9555 Global Roaming Kit w/ 300 Min. & Case to your wish list.